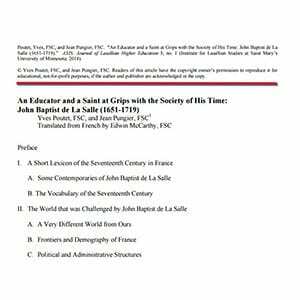 A very accessible orientation to the seventeenth-century France in which the Lasallian Educational Movement had its origins. 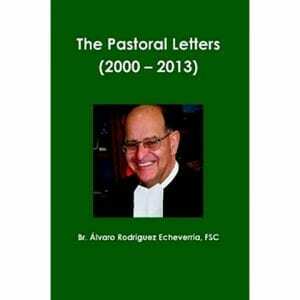 This is a collection of the annual Pastoral Letters from Br. 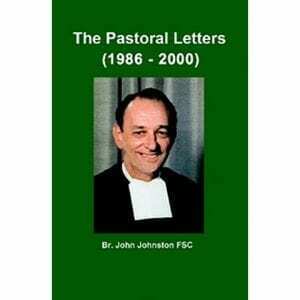 John Johnston, FSC, during his years as Superior General of the Brothers of the Christian Schools (1986-2000). 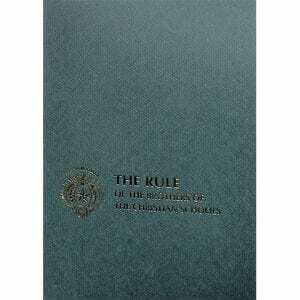 This is a collection of the annual Pastoral Letters from Br. Alvaro Rodriguez Echeverria, FSC, during his years as Superior General of the Brothers of the Christian Schools (2000-2014). 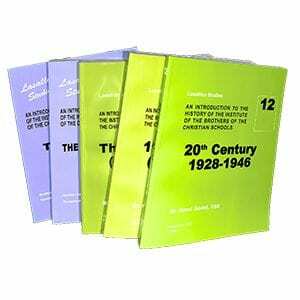 A scholarly series of books and original texts, begun in 1956 and continuing into today, whereby significant Lasallian works and studies are made available for general distribution within the Lasallian world. 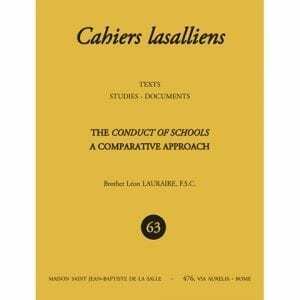 Cahiers Lasalliens 67 – The Conduct of Schools: Texts, Studies, Documents. 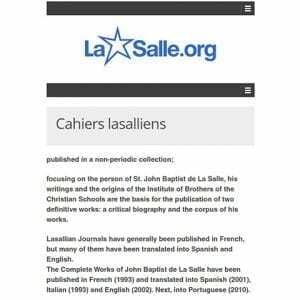 These are historical and thematic studies regarding St. John Baptist de La Salle, his catechesis, pedagogy, and spirituality. 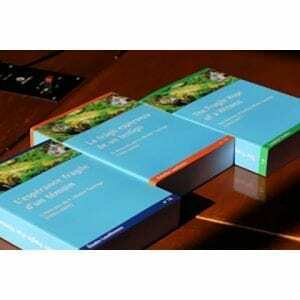 A series of contemporary Lasallian topics and themes, presented in an attractive, colorful magazine-style format. 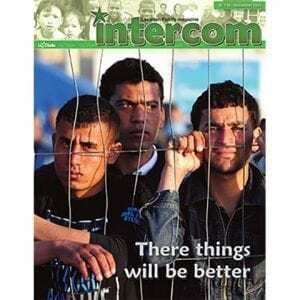 An international Lasallian magazine that focuses on the worldwide Lasallian family, addressing topics of international significance in the Lasallian world. The annual letter from the Brother Superior General to the Brothers and more recently including the greater Lasallian family. International communications from the center of the Institute regarding important events and topics. 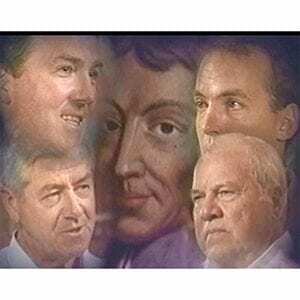 A video that covers the 12 Virtues of a Good Teacher that John Baptist de La Salle listed in one of his books.